These seven startling stories of family, femininity, sexuality and otherness will plunge you into the tender and chaotic hearts of narrators you won’t easily forget. Centred on a community of immigrants who have traded their endangered lives as artists in China and Taiwan for the constant struggle of life on the poverty line in 1990s New York City, the stories that make up Sour Heart examine the many ways that family and history can weigh us down, but also lift us up. 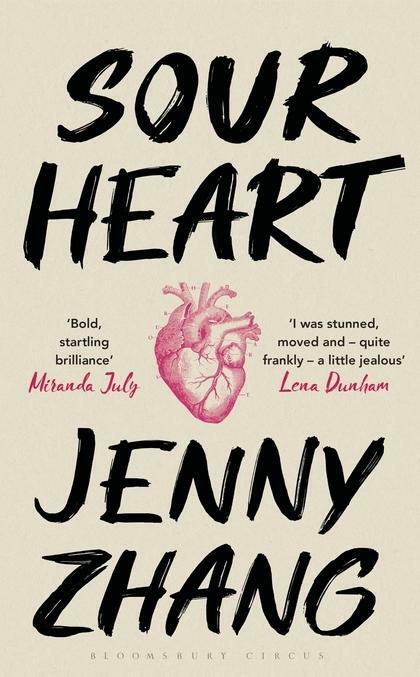 From the young woman coming to terms with her grandmother’s role in the Cultural Revolution, to the daughter struggling to understand where her family ends and she begins, to the girl discovering the power of her body to inspire and destroy, these vibrant, raw and powerful stories illuminate the complex and messy inner lives of girls struggling to define themselves. Fuelled by Jenny Zhang’s singular voice and sly humour, Sour Heart introduces a bright new force in literary fiction.